We handle all matters related to the drafting and signing of your Last Will and Testament, being careful to take the time to listen to your personal goals and gather all of the important facts and details. It's a detailed process called "estate planning." Our goal is to clearly state your wishes so that there is no confusion among your family, and everything can pass efficiently to them. We want your executor to be able to settle your estate with the least amount of time and trouble. Then state law will control who inherits your property, and the results may not match at all with what you would have wanted. Example (Actual Case): A 55 year-old man died of a heart attack, and left no Will. He was married to his second wife, but had no children with her. He had three adult children from his first marriage. He had a strained relationship with his children, and rarely saw them. His wife assumed that she would inherit everything from her husband. In fact, under Georgia law, she received only 1/3 of his probate estate, with the remaining 2/3 going to his adult children from his first marriage. Example (Actual Case): A 40 year-old woman died suddenly and unexpectedly. She had no Will. She was married and had two children under age 18. Her husband assumed that he would inherit everything from his wife. In fact, under Georgia law, he received only 1/3 of her probate estate, with the remaining 2/3 split among the two children. The grieving husband is now unable to sell the family home without also filing for Guardianship and Conservatorship of his own children, under court supervision, because the children are minors. The moral of these stories is …. make your Will now, while you are healthy and mentally capable. Make these important choices your own decision, and not the government's. Just give us a call at (770) 992-4325 or email us to get started on preparing your Will. A “living trust” is a revocable trust that you set up and fund while you are alive. Just give us a call at (770) 992-4325 or email us, to discuss whether a Living Trust would be appropriate for you. Yes - Trusts can be used for many purposes. For example, a trust can protect assets for your young children, until they are older enough to responsibly manage an inheritance. A trust also can hold assets for adult children from your first marriage, separately from whatever you wish to leave to your current spouse and any children from that marriage. Trusts can also be an important estate planning tool to help you avoid federal estate taxes, make charitable gifts, or protect assets for future generations, such as grandchildren. It's the process of developing a strategy for the distribution of your property after your death, so that your property goes to the persons you want to benefit, and in a way that minimizes or avoids estate tax. We work closely with you to understand your family and financial situation and to identify your personal goals, so that your Will is tailored to your personal situation. Is There a Difference Between Estate Planning and Just Writing a Will? Yes. Estate planning is a personalized, in-depth process that starts with a consultation of at least one full hour. In order for a Will to work properly, it should be coordinated with the ownership of your financial assets, the beneficiaries on your life insurance and retirement accounts, and your personal situation. Simply entering your name in a form document, which some people think of as "writing a Will", is an automated process that probably will not fit your personal and financial situation, and the result after you are gone may not be at all what you and your family expected. Do I Need to Do Any Special Planning if I am in a Second Marriage? Yes. When you have a blended family, with children from a prior marriage, it is especially important to seek advice from an attorney who specializes in estate planning. Unfortunately, we have seen many cases involving blended families where the children of a prior marriage end up receiving much less than they should have, when their parent passes away. With proper planning, we can help you protect the interests of all parties in a blended family. Do I Need To Worry About Paying Estate Tax? Only if your total net estate is valued at more than $11.4 million, per federal estate tax law, for 2019. To see if you are over this exemption amount, you should add up the value of all your property and assets. This generally includes your home, any other real estate you own, bank accounts, stocks, bonds, mutual funds, pension accounts, 401(k) plans, IRAs, any interest you own in a family business, automobiles, boats, valuable art objects, jewelry, plus the benefit payable under any life insurance policies on your life, less your outstanding debts. What If I'm Just Under the exemption amount? It's risky to assume that you can ignore estate tax if you have an estate that's close to the current limit. We can help you establish a flexible plan to avoid estate tax that will be there if you need it, if the value of your estate grows over the next few years. How High Is the Federal Estate Tax Rate? If you are over the exemption amount, the rate is 40%. So, if you are single and have an estate valued at $12.4 million, your total estate tax would be approximately $400,000. Wow, That's a Lot of Tax. Can you help me avoid Federal Estate Tax? Yes! We can help you establish a plan that in most cases will avoid or substantially reduce your estate tax. For example, many married couples with combined estates valued at up to $22 million may be able to avoid estate tax altogether. And we can show most clients how to substantially reduce their estate taxes. Just give us a call at (770) 992-4325 or email us, if you are concerned about estate taxes and want to be sure that your family is protected against this risk. How Much Does a Will or Living Trust Cost? We prepare Wills and Living Trusts as part of an Estate Planning Package, to be sure that you have all the necessary legal documents to protect yourself and your family. While everyone's situation is different, we know that it's important for you to have a general idea how much your Will is going to cost. So, we do not charge for Wills or Living Trusts on an hourly basis. Instead, we give you a total, flat fee quote for everything, at your initial consultation. Your total fee will be payable in two installments - 50% at the time of your initial consultation, and the remaining 50% when you return to sign your completed documents. We accept all major credit cards (VISA, MasterCard, American Express or Discover), as well as checks. Please understand that these fee estimates are general guidelines only, and are not guaranteed. Your individual legal fees may vary. We accept major credit cards (MasterCard, VISA, American Express and Discover), as well as checks. What's Included in These Will Packages? When preparing your Will, we believe in taking the time to talk with you in depth, discuss the details about your family and financial situation, give you comprehensive advice, and draft custom documents to fit your situation. We work through all of this with you in a thoughtful, caring process to ensure that your wishes are carried out. All Will Packages include a 1-Hour consultation appointment, to provide advice and answer questions concerning your overall estate situation, the terms of your Last Will and Testament, Durable Financial Power of Attorney, and Health Care Directive, and gather the information necessary to prepare these documents. Then we draft of all these documents, and you return for a second visit (usually about 1-Hour) that includes the review and formal signing of your Will and other documents in our office. The Will & Trust Package also includes a 1.5 Hour consultation appointment, and everything in the Will Package, plus advice and consultation concerning estate tax and any special situations that may involve the use of Trusts (for example, a Trust to provide for management of funds for your minor children, in case both parents were to die, or a Trust to help you avoid estate tax). This package also includes drafting of one or more Trusts, as needed in your situation, in addition to your Last Will and Testament, Durable Financial Power of Attorney, and Health Care Directive. Then you would return for a second visit (usually about 1.5 Hours) that includes the review and formal signing of your Will, Trust(s) and other documents in our office. The Living Trust Package includes a 2 Hour consultation appointment, which covers everything in the Will & Trust Package, plus advice and consultation concerning the use of a Revocable Living Trust to avoid the probate process, advice regarding the advantages and disadvantages of setting up a Revocable Living Trust, and preparation of the Revocable Living Trust, in addition to your Last Will and Testament, Durable Financial Power of Attorney, and Health Care Directive. Then you would return for a second visit (usually about 1.5 Hours) that includes the review and formal signing of your Will, Revocable Living Trust and other documents in our office. 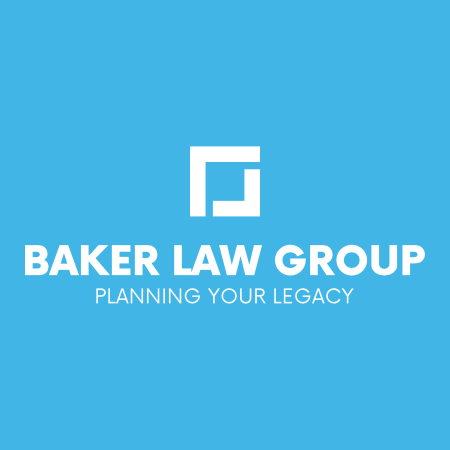 ​To schedule an appointment or ask questions about our estate planning process, just give us a call at (770) 992-4325 or email us to get started on preparing your planning.